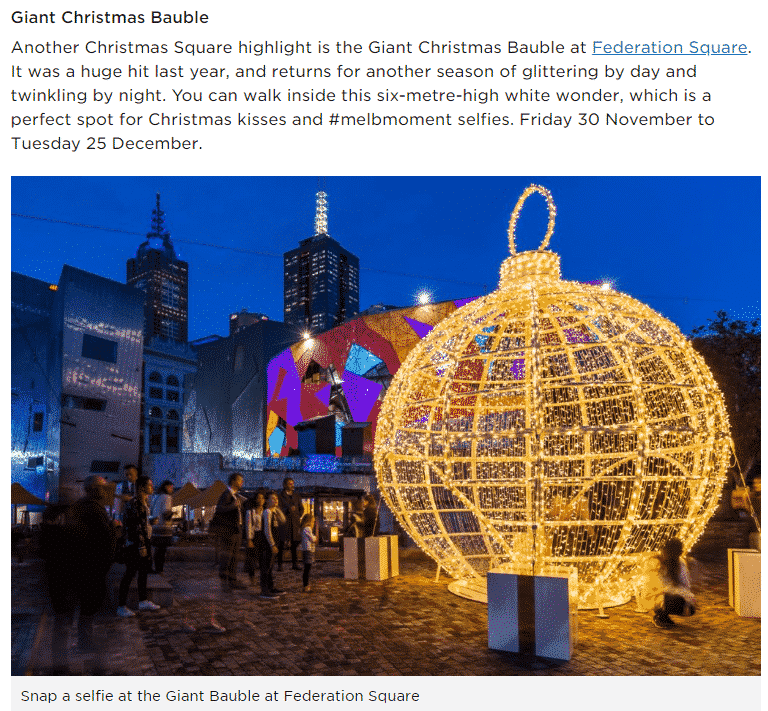 Each year, the City of Melbourne hosts a free month-long festival in the Melbourne CBD known as the Christmas Festival which brings a little bit of magic to Melbourne for the Christmas season. 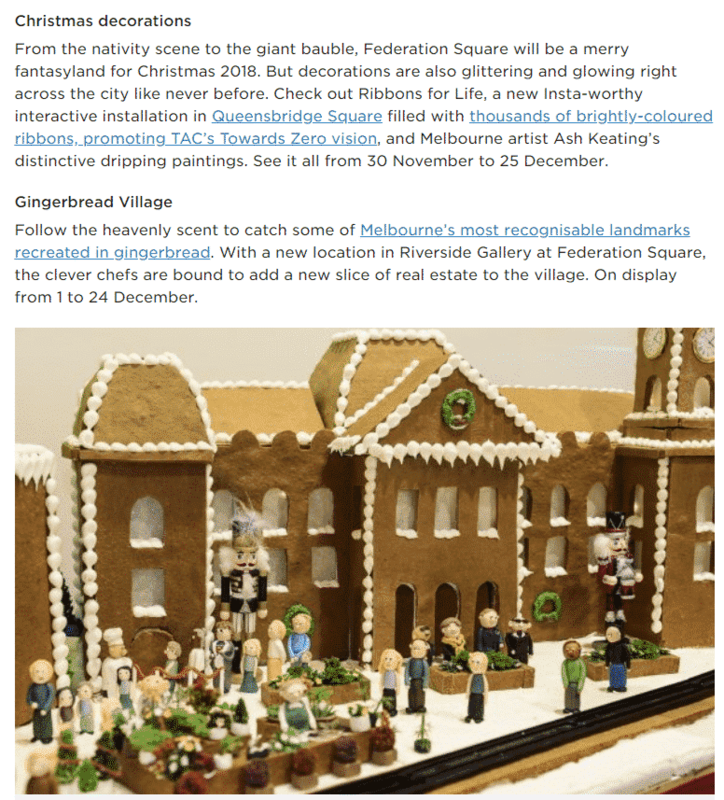 There are many events and activities planned during the festival at many locations around Melbourne; including Federation Square, the Melbourne Town Hall and the Docklands. 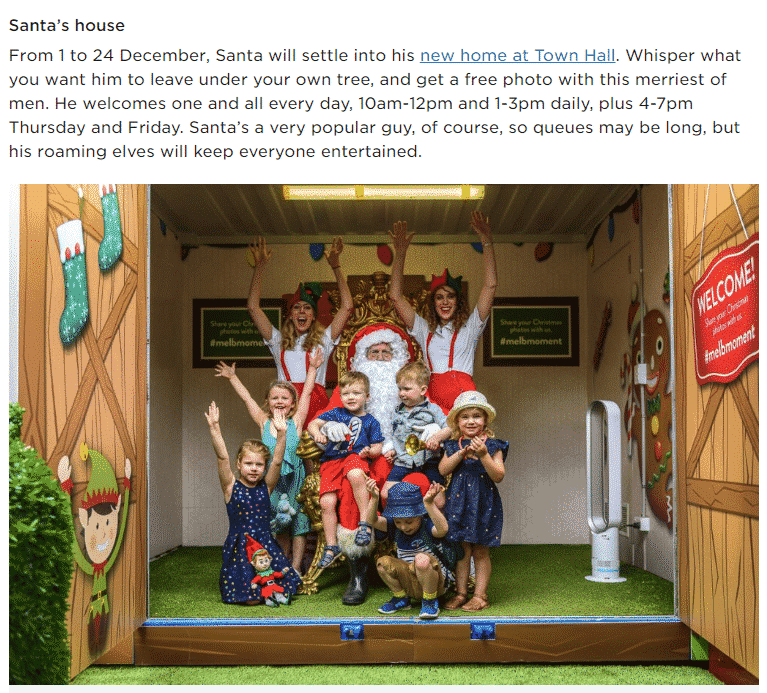 This family-friendly festival provides a perfect setting for kids to enjoy the holidays with Christmas trees, lights and Santa providing daily entertainment. 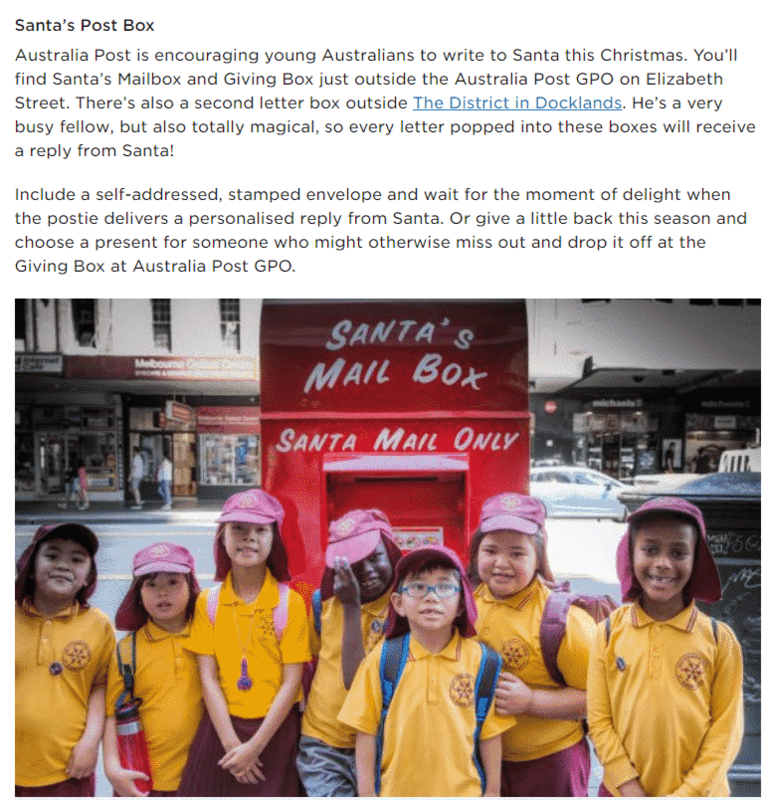 If kids miss out on meeting Santa in person, they can post a letter to Santa at a special post box located at the Australia Post GPO on Elizabeth Street, which will send their letter straight to the North Pole! 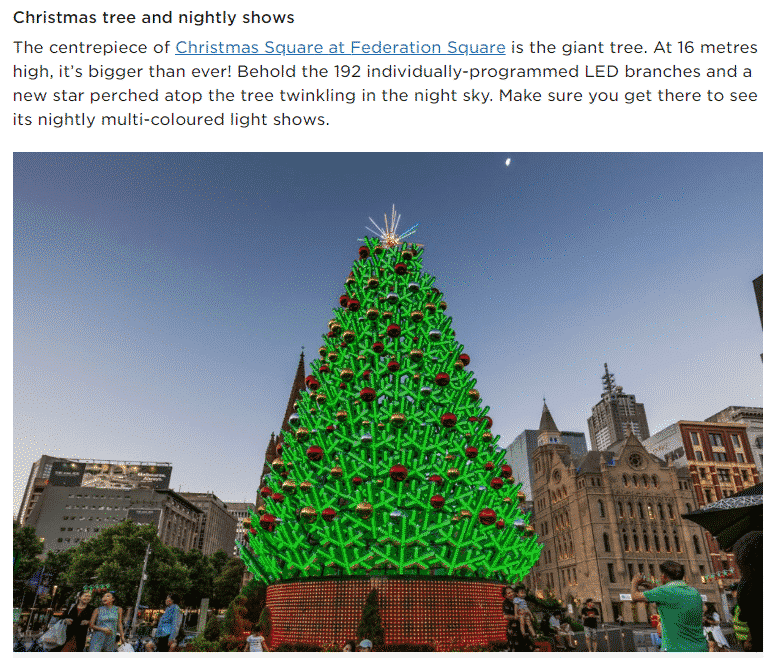 Every night at 9pm, Federation Square is transformed into a glorious light show with fairy lights and laser projections which make the city feel like magic. 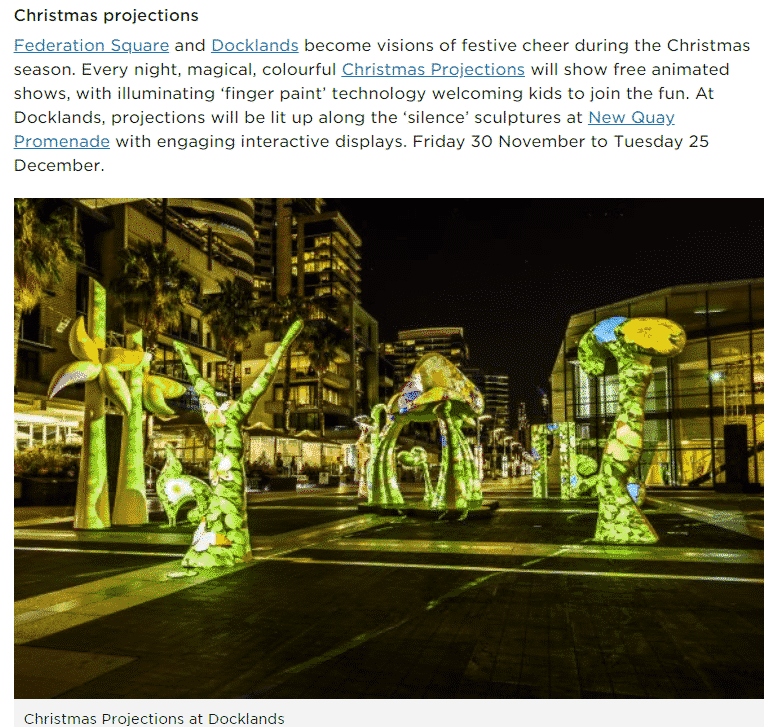 There will be music playing and people out and about enjoying the warm summer evenings, so bring your family to this FREE event and enjoy a day or night out in the city of Melbourne!